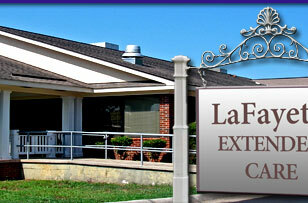 At LaFayette Extended Healthcare Center, we provide occupational, physical and speech therapy services. We also provide restorative services. We provide therapeutic dietary services, meals and snacks, in-house X-Ray services, podiatry services, vision-eye care services, hospice care, mental health services, daily housekeeping and laundry services and beauty and barber shop services. Additional services that we provide for which the residents are responsible for payment are TV outlets and phone outlets in residents' rooms. We also have phones, TVs in activity rooms and access to the Internet available for the residents to use. We provide transportation services for appointments to various physicians if the family is unable to transport the resident. We provide special diet and alternative meals in addition to our regular diet meals. A registered dietician is on staff to oversee the dining preferences and needs of our residents. We provide health and personal care to our residents by a loving certified staff. 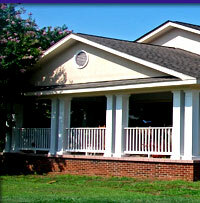 We also provide 24 hour skilled nursing services.